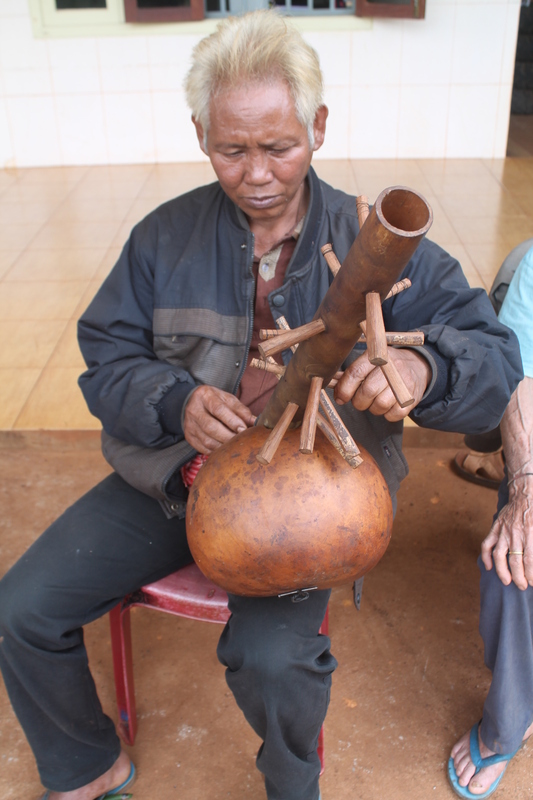 Kong Reng is produced from bamboo stems and a dry gourd. It has six strings. There are two ways to produce Kong Reng. In the first case it is only produced from domestic bamboo stems. 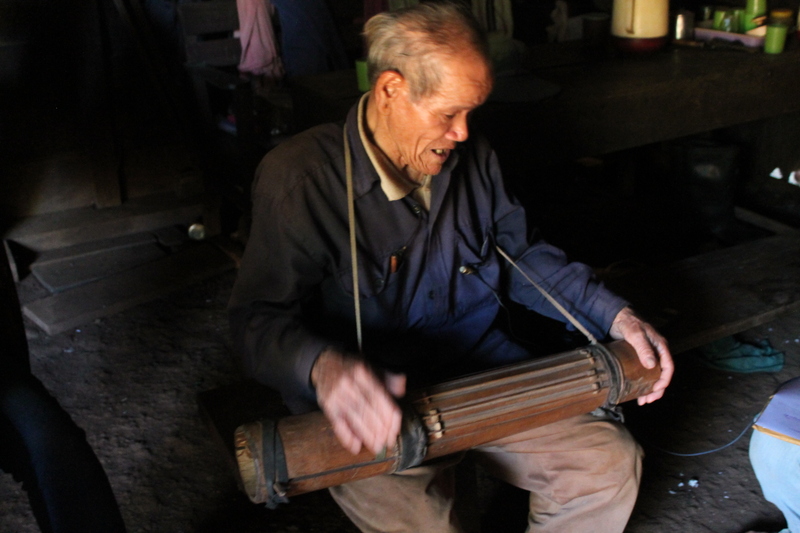 Secondly, it can be produced from a 50 centimeter long Pok bamboo stem, 40 centimeters of metal wire and a dry gourd. 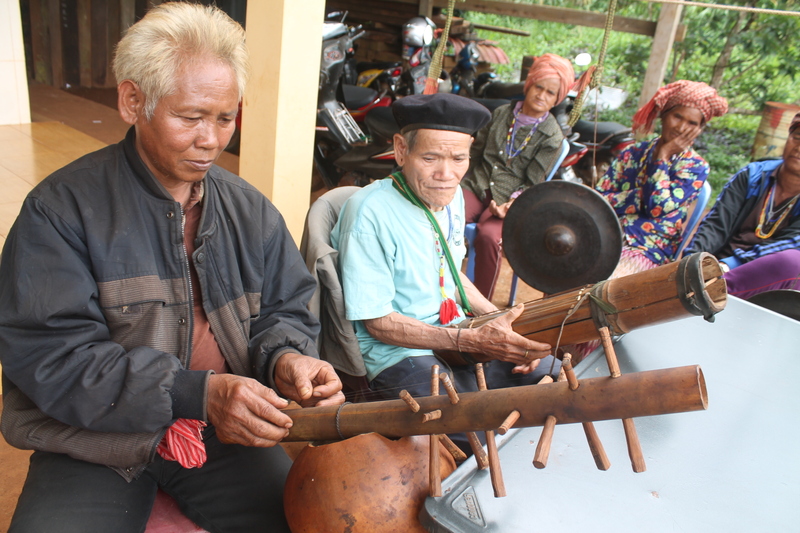 Kong Reng is played by one person and it can be play alone or together with Rahome and Tetavav song. It can played anywhere and at anytime. It is not required to perform a ceremony for it before it is used. It is played for singing a lullaby for a baby (when they are put down to sleep), to entertain when people are free from their work, guard their farm and visit the forest. It is played as parable as well during drinking time. Kong Reng can be played for two melodies. They are: Tetavav and Talum.